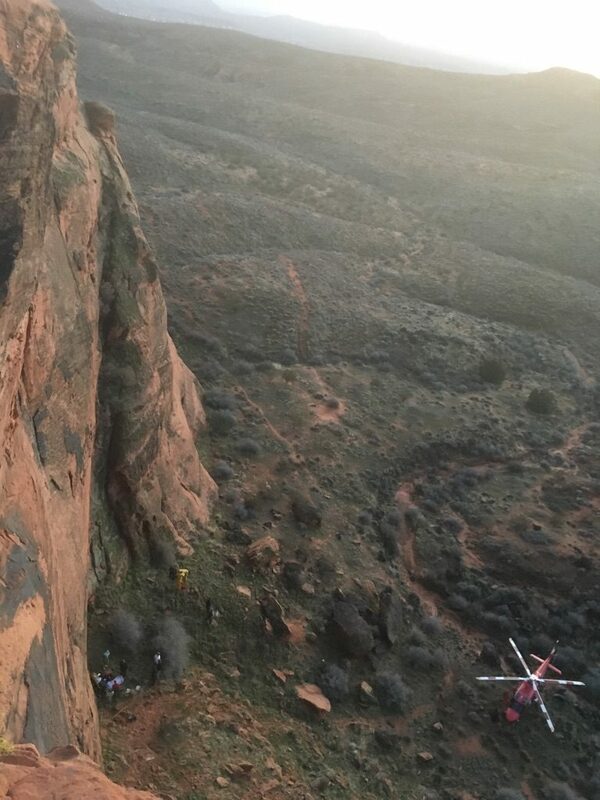 ST. GEORGE — A man visiting from Canada fell while rappelling from an approximately 150 foot rappel in the Cougar Cliffs Climbing Area Thursday evening. 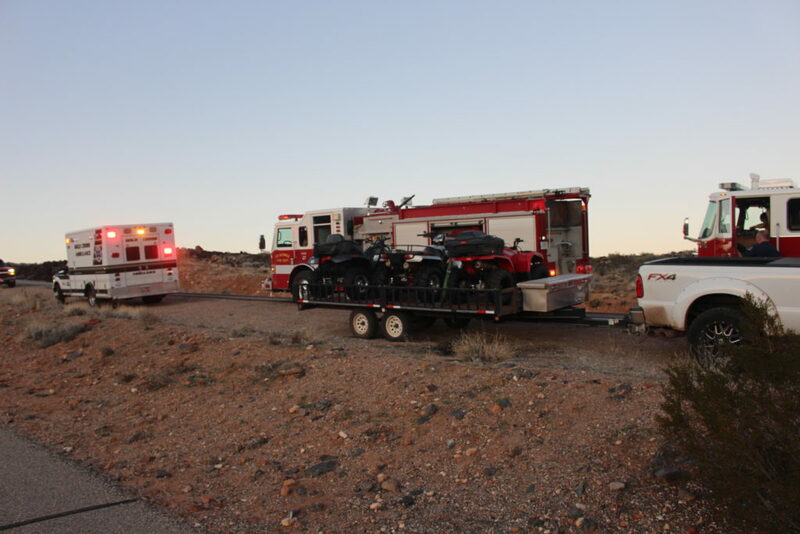 Rescue and medical personnel from St. George Fire responded to the call at the popular climbing area just off state Route 18 at approximately 5 p.m.
At about halfway through the rappel the man fell to the ground, landing on his back, St. George Fire Capt. David Slack said. 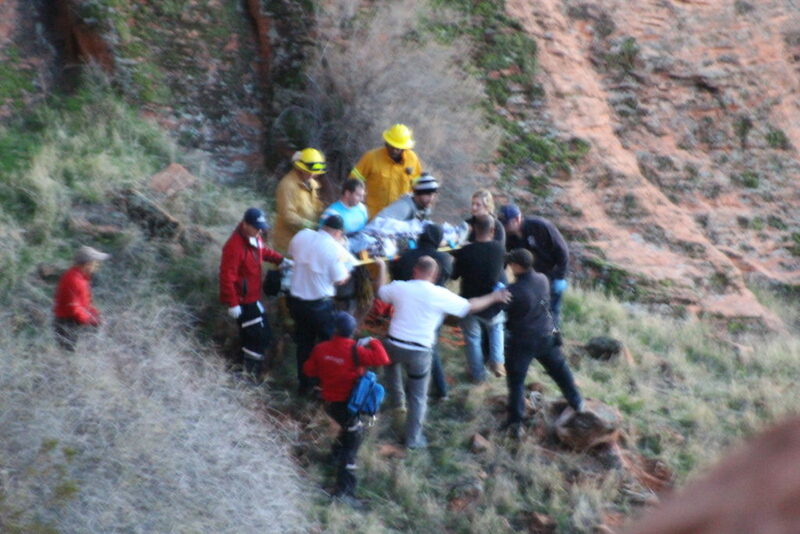 Medical personnel arrived to find the man conscious and alert. He was wearing a helmet at the time of the fall. 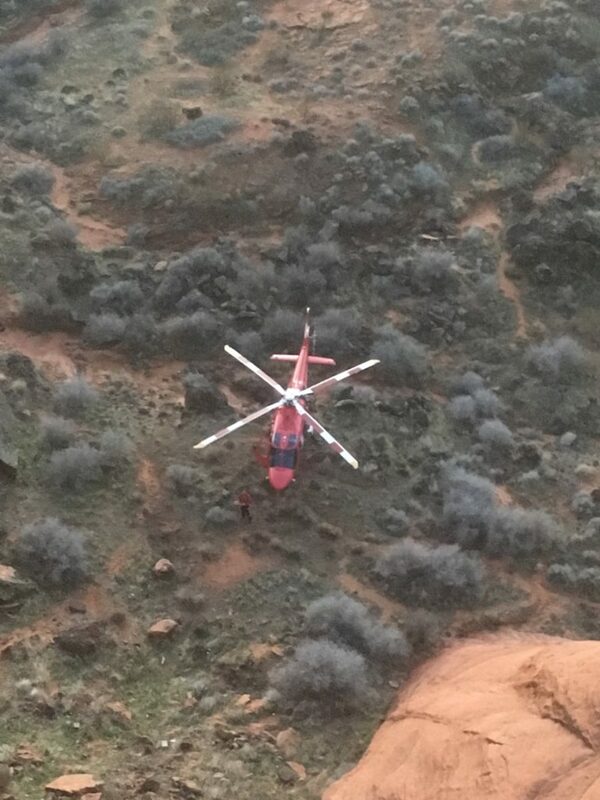 Intermountain Life Flight was paged to the scene to transport him to the hospital for treatment. The severity of the man’s injuries was unknown at the time this report was taken but Slack and other witnesses were optimistic. The man was visiting the area from Canada with family. 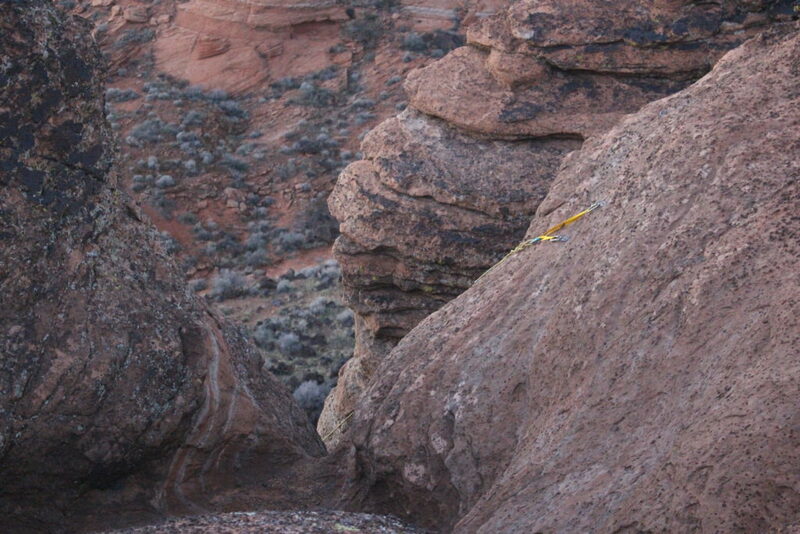 Witnesses said he was asking a lot of questions about the rappel and was not familiar with the area. 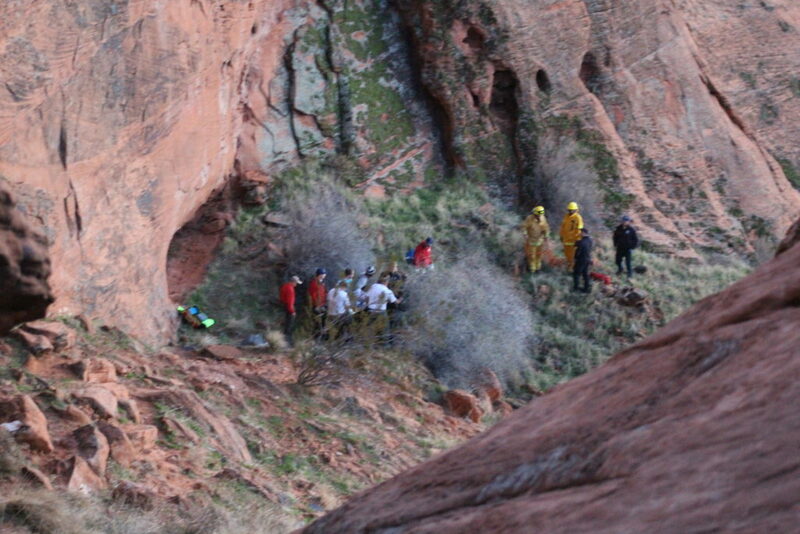 A witness told the man it was not a rappel for beginners, but he reportedly said he was an experienced climber. “He was just going down by himself without a safety guy underneath. He had his hands on the wrong spot and then it just gave out,” Eddie Vidrio said. 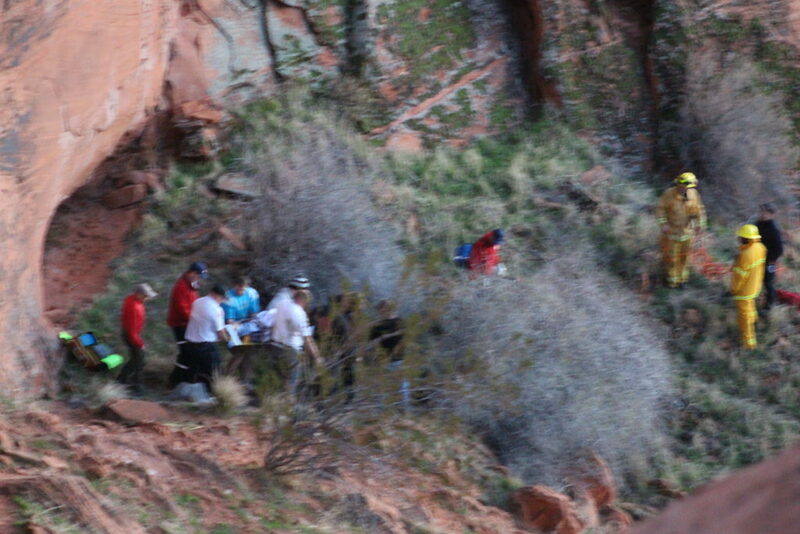 Vidrio and his friends Kyson Smith, Jesse Callahan and Joaquin Triana were hiking out of the area near sundown when they encountered the man. 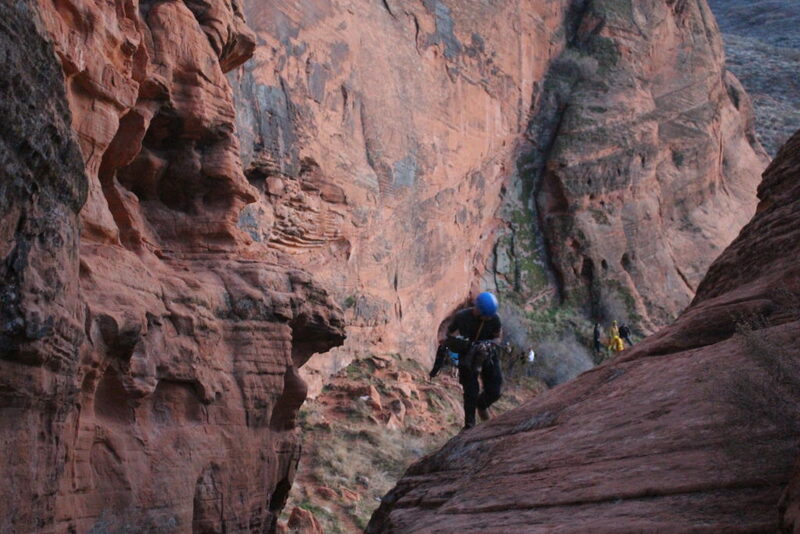 Just as they were about to offer him assistance with belaying, Vidrio saw him fall. 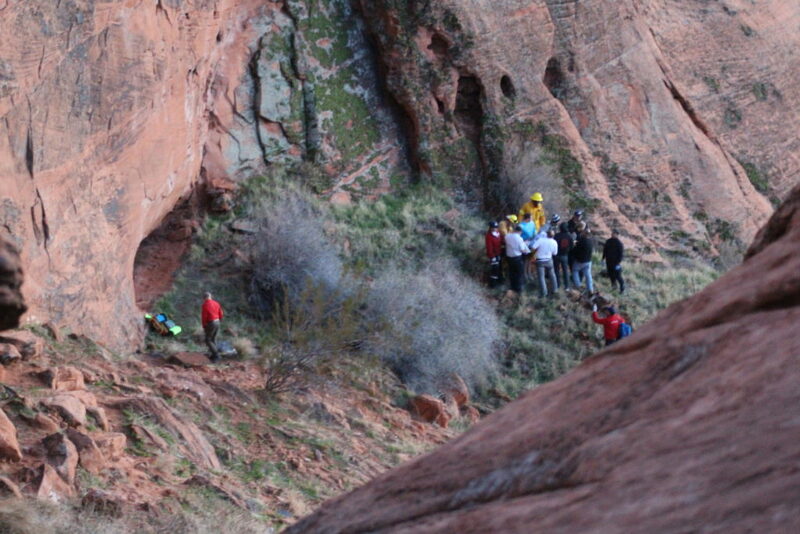 Vidrio and his climbing buddies rushed down to the area where he fell to help the man. 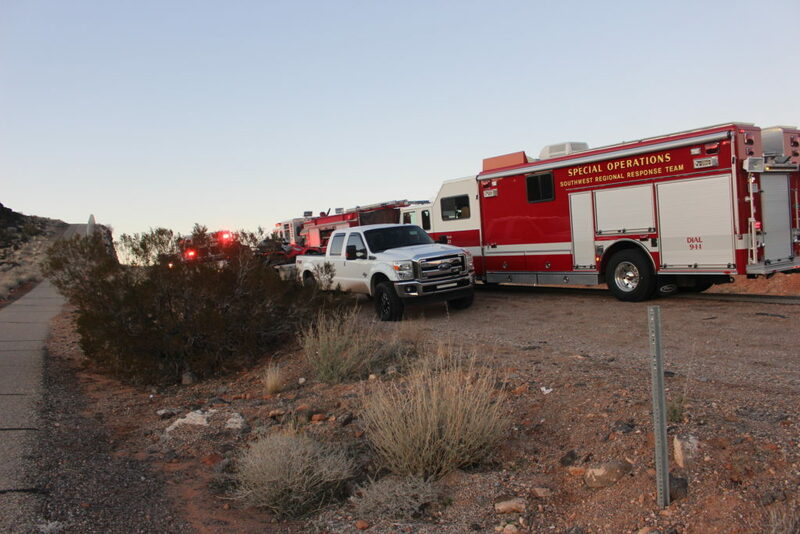 Vidrio estimated the man had fallen about 100 feet, but a later analysis by Fire personnel estimated the fall to have been between 50 and 70 feet. When rescue personnel from St. George Fire and Gold Cross Ambulance arrived and secured the man to a backboard, Smith, Vidrio, Callahan and Triana helped carry the injured man to the waiting helicopter. 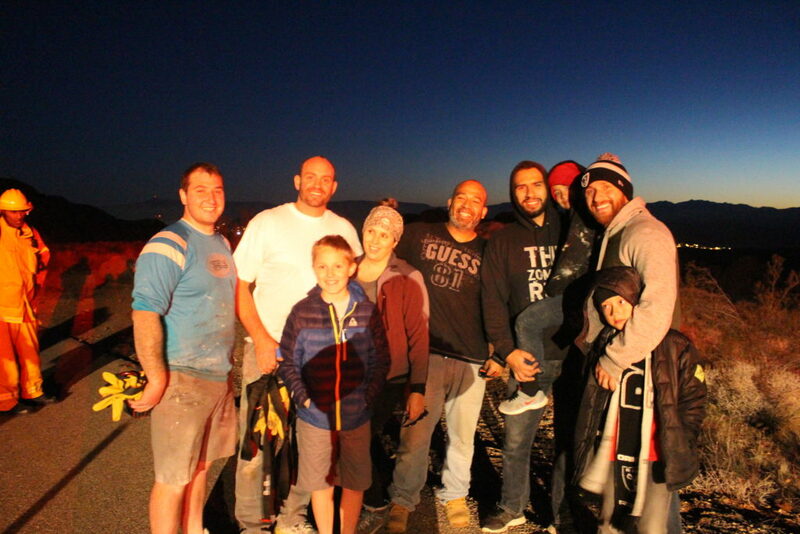 “They were a big help to us,” the captain said. 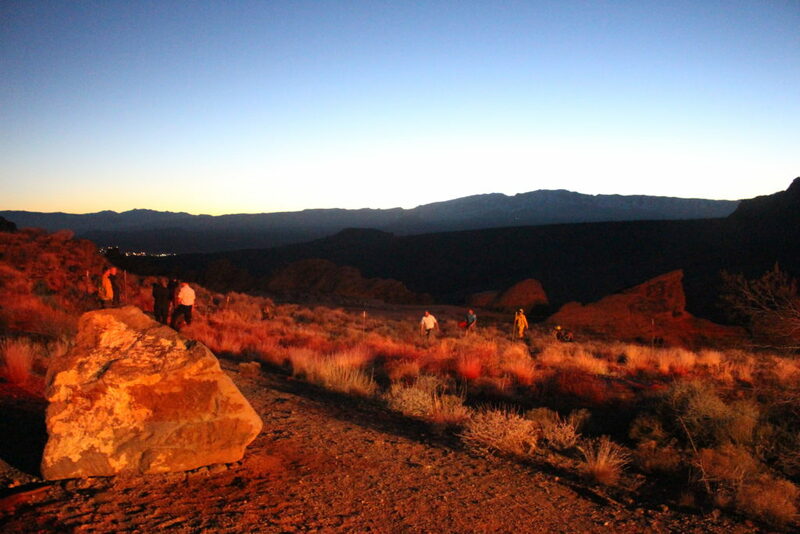 No one else was injured and everyone was able to hike out of the area safely just as the sun went down. 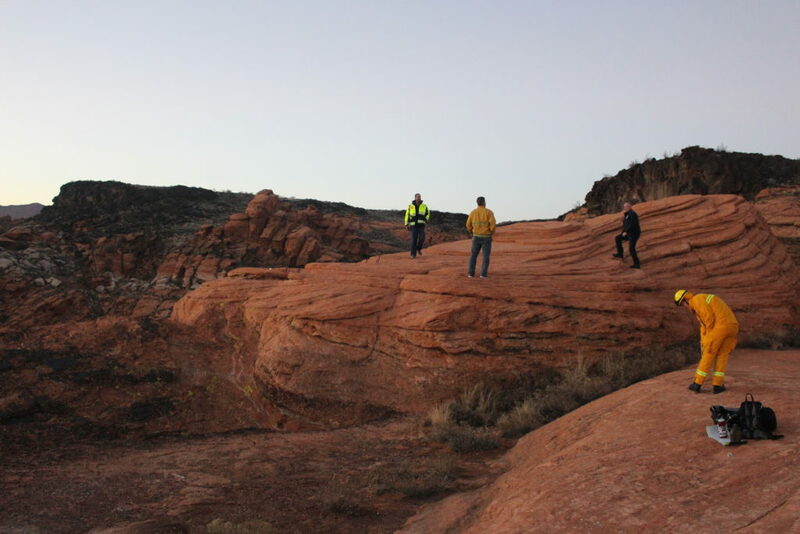 No apparent trail leads to where the man fell, and the trek down to the spot required a bit of hiking and climbing up and over boulders through shrubs and woody bushes in the rocky red desert terrain just south of Snow Canyon State Park. The Cougar Cliffs Climbing Area is meant for experienced climbers and has previously been the site of similar falls and injuries. This could of been so much worse. but hopefully he will recover soon. 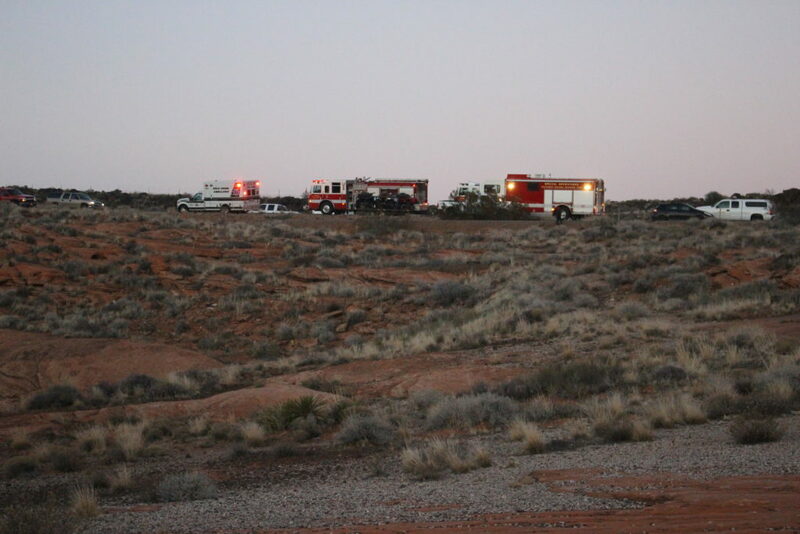 and kudos to the emergency response team. Ah, will his Canadian health insurance cover the costs? Or will the good people of Utah (tax payers) have to foot the bill on this incident? Glad it turned out well. I wonder how much of the cost will be paid for by him? 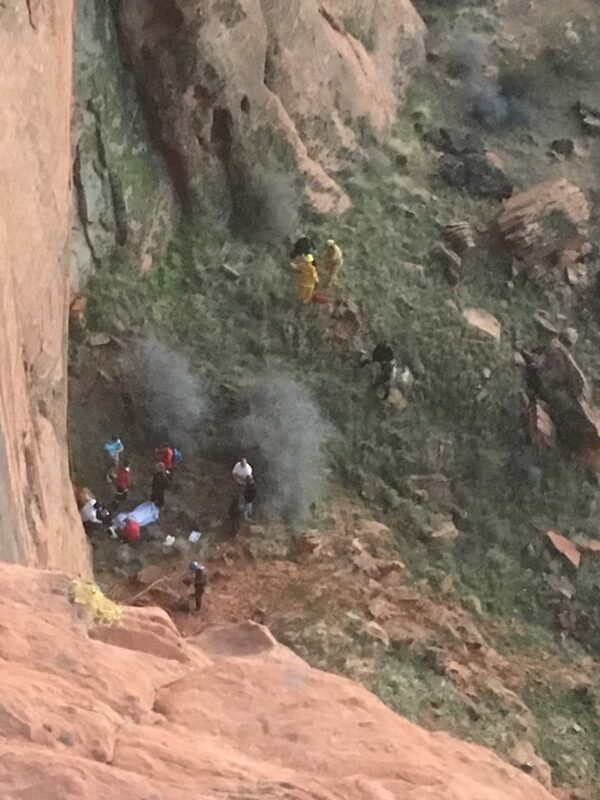 Foreigners should be more when traveling, this man kept asking questions about repelling that was a clue..they have classes.. Great job for rescuers..
Should take up a new hobby.